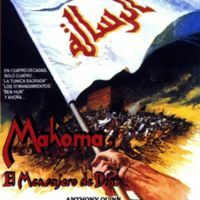 The film The Message, directed by Moustapha Akkad and produced by Filmco International Productions,was released in 1976 (imdb.com). It opens with messengers riding through the stark landscape of the desert to bring the word of Muhammad to rulers outside Arabia so that they may ask that these powerful men convert to Islam. This opening scene works as a summary of what the movie is all about. It shows the ruler of Persia tearing the messengers’ note and rejecting the Message, while the Byzantine Emperor is shown giving the Message more consideration, even equating Muhammad to John the Baptist. The movie, as a whole, depicts the ascent of Islam, beginning with the growth of Islam within Mecca, the hardships endured during the Muslim exile from Mecca, the establishment of the first mosque in Medina, and the military campaign against the pagans to return to Mecca in the early seventh century. Most of the conflict throughout the movie comes from people either giving Islam a chance, similar to the Emperor of Byzantium, or rejecting Islam, similar to the actions of the ruler of Persia. The Message was extremely controversial when it was first being made because it was attempting to tell the story of Muhammad on-screen when there were (and still are) religious restrictions on the depiction or portrayal of the Prophet, his family, and many of his closest associates. In order to try to avoid this predicament, “Akkad decided to concentrate the film on the person of Muhammad’s Uncle Hamza [Anthony Quinn]” (Bakker 78). This decision to adhere to these religious prohibitions had several unintended consequences on the story in the film, one of which was the limitation of the roles women play in The Message. Women played an integral part in the beginning of Islam. This is evident in the Life of Muhammad, the Messenger of God, a biography of the Prophet that Akkad relied on heavily when filming The Message. According to this biography, Muhammad’s wife Khadija was actually his first follower who, according to the source, assisted Muhammad both by strengthening him and by bringing down those who opposed him (Guillaume 155). Not only did they play a direct role in the growth of the religion but also in advancing Muhammad’s profile as the Prophet. While men authored all of the chronicles on the life Muhammad, the source of their information, most often, was a woman (Roded 335). Thus, much of what is known about Muhammad was originally told through the eyes of a woman. The same perspective cannot be said for the one used in The Message, as Muslim women have effectively been removed from the story. Throughout the film, women are rarely shown on screen with those who do appear have small roles. F. L. Bakker touches upon this aspect in his essay on the film. He observes how even Muhammad’s wives, who greatly impacted Islam’s development, have been removed from the film. The rare moment women are shown in the film, and are also Muhammad’s followers, stay in the periphery of the scene (Bakker 81). This gender dynamic, limiting the role of women, is most apparent in one scene in particular. One of Muhammad’s earlier followers, Zaid (Damien Thomas) comes home late at night to meet his parents waiting up for him. They question him on where he has been and ridicule him for staying out and listening to Muhammad’s teachings. Zaid gives an impassioned defense of the message Muhammad is spreading, saying how it really is not as bad or controversial as the others are making it out to be. Nothing he says is persuading his father. It is not until his mother Somaya (Rosalie Crutchley) speaks out saying how cruel to women the religion they currently practice has been does the father begin to open his mind. Somaya explains her family history with female infanticide, recounting that her two older sisters had been buried and not been able to live a full life. His parents then convert to Islam in hope for a religion that has more rights for women. However, Somaya does not play a larger role in the film, as she is murdered a few scenes later as one of the first martyrs of Islam. From that point on there are no prominent female Muslim characters in the film. Because of the lack of female Muslim characters, the period spent away from Mecca in the film is completely dominated my male characters. If a viewer were to watch this film without prior knowledge of early Islamic history, they would think that Muhammad and the other leaders of Islam took vows of celibacy in a similar vein as Catholicism (Bakker 82). Woman were vital to the formation of Islam but because of the prohibition Akkad faced in making his movie, a viewer would not know this. One woman Akkad faced no prohibition in portraying on screen was Hind (Irene Papas), the wife of Abu Sufyan who, until Muhammad retakes it, is the leader of Mecca; she is one of Islam’s fiercest opponents (Bakker 82). In one of the last scenes of the film, as the Muslims establish camps outside Mecca and her husband decides to yield the city, Hind becomes enraged that he has taken the “coward’s” way out and questions his leadership. She is distraught that her father and brother have died in the war against the Muslims for what now appears to be for nothing. These deaths are something for which she has already sought out vengeance as she recruited a slave with good aim to slay Muhammad’s uncle Hamza. The power and ferocity Hind displays on screen is supported in the biographical literature, which described her on the battle field, along with other women, spurring the men on to fight with tambourines and even mutilating corpses and eating Hamza’s liver. While she is depicted as less savage in the film, she has a prominent role as the antagonist. The power in both the performance and characterization of Hind’s character throws into sharp relief the lack of prominent roles for female Muslim characters in this film and highlights the misconception that early Islam was more male-dominated than it actually was (Bakker 82). Overall, this film can be a source of instruction for those looking to learn about the rise of Islam and the culture of seventh-century Arabia as told through a modern interpretation of the Islamic biographical tradition. It tells Muhammad’s story in a linear way, beginning with his struggle against the established mercantilist class of Mecca and ending with Islam’s triumph. One must take into consideration, however, the limitations that the film had because of the prohibitions on depictions of the Prophet. 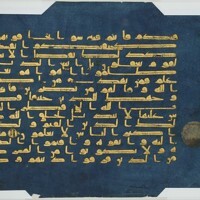 The lack of a Muhammad character, although the director attempts to include him in several scenes through various camera techniques, could make a viewer believe that Hamza was the commander of the Muslim army and not Muhammad himself (Bakkar 81). Even with this restriction, the history of Islam remains male-centric. There has long been a notion of Islam as anti-feminist, but some female Muslim scholars argue against this view. Rather, they say that their religion had been co-opted by Muslim men, who made it more patriarchal (Salime 124). The Message operates under the same patriarchal assumptions. The prohibition on the depiction of Muhammad and his family has limited the role of women in visual retellings of the Prophet. Though it is unlikely Moustapha Akkad had sexist intentions when making this film, the viewer must be sure to note the influence of women on Islam that is not shown in the film. Bakker, F. L. “The Image of Muhammad in The Message, the First and Only Feature Film about the Prophet of Islam.” Islam and Christian-Muslim Relations 17, no. 1 (2006): 77–92. 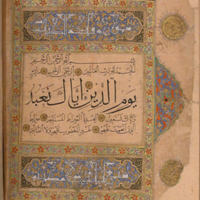 Ishaq, Ibn The Life of Muhammad: A Translation of Ishaq's Sirat Rasul Allah, trans. A. Guillaume. New York: Oxford University Press, 1955. Roded, Ruth, "Muslim women reclaim the life-story of the prophet: ʻAʼisha ʻAbd al-Raḥmān, Assia Djebar, and Nadia Yassine." The Muslim World 103, no. 3 (2013): 334-346. Salime, Zakia, Between Feminism and Islam: Human Rights and Sharia Law in Morocco. Minneapolis: University of Minnesota Fress, 2011.